Vieaux has earned a reputation for putting his expressiveness and virtuosity at the service of a remarkably wide range of music, and his schedule of performing, teaching, and recording commitments is distinguished throughout the U.S. and abroad. His solo recitals have been a feature at every major guitar series in North America and at many of the important guitar festivals in Asia, Australia, Europe, and Mexico. Recent and future highlights include returns to the Caramoor Festival, Philadelphia Chamber Music Society, and New York’s 92nd Street Y, as well as performances at Argentina’s Teatro Colon and Oslo, Norway’s Classical Music Fest. Vieaux’s appearances for Chamber Music Society of Lincoln Center, Music@Menlo, Strings Music Festival, Grand Teton, and many others have forged his reputation as a first-rate chamber musician and programmer. He collaborates in recitals this season with Escher Quartet, acclaimed harpist Yolanda Kondonassis, and accordion/bandoneón virtuoso Julien Labro. Vieaux’s passion for new music has fostered premieres of works by Dan Visconti, David Ludwig, Jerod Tate, Eric Sessler, José Luis Merlin and Gary Schocker. Vieaux’s previous eleven albums include a recording of Astor Piazzolla’s music with Julien Labro and A Far Cry Chamber Orchestra; Bach: Works for Lute, Vol. 1, which hit No. 13 on Billboard’s Classical Chart after its first week and received rave reviews by Gramophone, The Absolute Sound, and Soundboard; Images of Metheny, featuring music by American jazz legend Pat Metheny (who after hearing this landmark recording declared: “I am flattered to be included in Jason’s musical world”);and Sevilla: The Music of Isaac Albeniz, which made several Top Ten lists the year of its release. 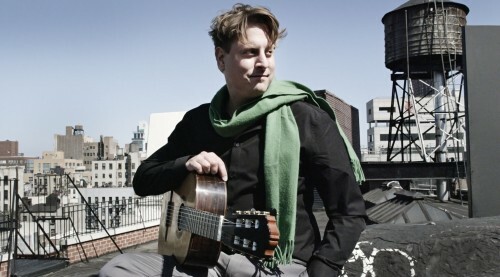 Vieaux’s albums and live performances are regularly heard on radio and internet around the world, and his work is the subject of feature articles in print and online around the world, including such magazines as Acoustic Guitar, MUSO, Gramophone, and on NPR’s “Deceptive Cadence.” Vieaux was the first classical musician to be featured on NPR’s popular “Tiny Desk” series.